CAN YOUR DIGITAL CAMERA SEE BURIED GOLD? We both know the problem, you get a good lead on a buried cache, which turns out to be somewhere in hundreds of acres of land. How do you find it? Well you could spend years searching every square inch with a metal detector, providing the terrain is suitable but, if the treasure is too deep for your detector, you would NEVER find it. Then again, you could spend big bucks on controversial long-range locators, which at best only hint at the location or you could try dowsing, which is at least free. Louis J Matacia came up with an answer in the form of a certain Polaroid camera able to photograph treasure auras, which was great, I found treasure myself using just such a tool. The problem now is that the camera is obsolete, although still fairly readily available on the used market and Polaroid stopped making the film in 2005. The last original film pack I bought was two years out of date and cost $60. And it will only get worse from here on in, eventually becoming unobtainable at any price! So is that the end of using auras to locate buried treasure? The digital camera works brilliantly. Auras can be obtained on gold down to a quarter of an ounce or less – that’s a single coin or nugget! The camera can even discriminate between different metals – all from a distance (up to 100s of yards depending on target size) and can be used anytime during daylight hours. By definition, instruments that can reveal hidden treasure from a distance are long-range locators. But this is not long-range location as we know it that can be like searching a coal-bunker, in the middle of the night, trying to find a black cat that isn’t there! This is long-range location at its best – showing you precisely where treasure is hidden. You really can see the color of the money (providing it’s metallic or contained in metal) and what’s more you can get started for much less than the cost of a commercial long-range locator – you may even already have most everything you need! Treasure auras are simply the appliance of science so you don’t need any special gift to use these cameras – there is none of this hairy-fairy stuff about ordinary instruments producing extraordinary results in the hands of someone with psychic awareness. Hands-on is not even needed – hands-off is actually better! And, clearly, you have absolute discretion with this approach – you can take a camera almost anywhere and no one will have any idea that you are not just taking snapshots. Of course, you are not going to be able to buy a camera off the shelf and start taking photographs of treasure auras – if cameras naturally photographed auras, most folks would take them back to the store complaining about the photo quality. So you are going to need to do a few modifications. But don’t worry, it’s not rocket science – everything you need either plugs in, screws in or sticks on, without damaging the camera, and all will be clearly explained. So for your very modest investment in this manual and possibly some reasonable expenditure on equipment you will have the finest opportunity to find millions in buried and hidden wealth! Can you tell? I am REALLY excited! 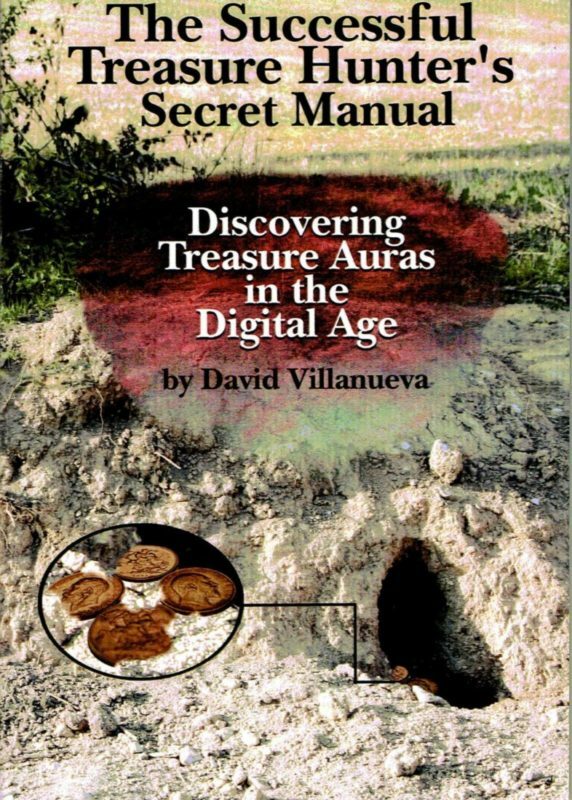 Congratulations on an amazing book!” “I just received and read a copy of your new book, Discovering Treasure Auras in the Digital Age. To put it mildly, I was totally blown away. Is this for real? If it is, it will dramatically improve my treasure hunting results for the rest of my life! I am in the process of assembling all of the recommended gear so I can get out into the field as soon as possible. From a scientific perspective, my associates and I all agree that this may actually be the modern-day solution for a specific, huge treasure in Ecuador that we have been seeking for years. No one else on the planet will tell you how to turn a digital camera into a powerful treasure-hunting tool – at any price! But THE SUCCESSFUL TREASURE HUNTER’S SECRET MANUAL gives you all the information you need to quickly and easily enable modern cameras to see buried treasure from a distance so you can find treasure in no time. And the Manual won’t cost you a king’s ransom, in fact at £17.47 it’s so cheap you could buy a truckload with the first treasure you find! No risk, no quibble, no questions asked 100% money back guarantee within 60 days.